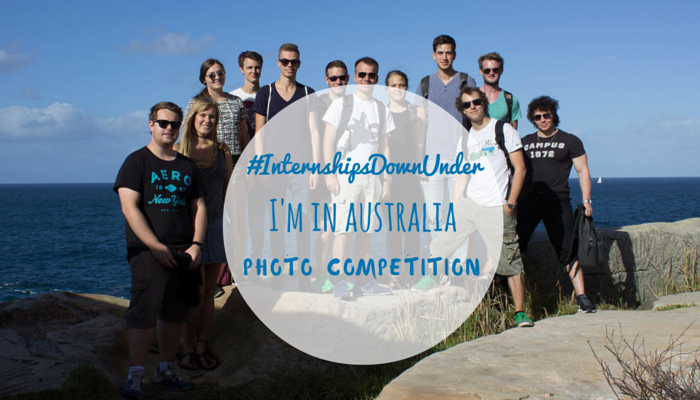 Submit your entry for the “I’m in Australia Photo Competition”. Internships Down Under together with Surf Camp Australia are offering the winner a free surf camp voucher for “The Weekender“. Your ‘most Australian photo’ could include you standing, jumping, holding, hugging, surfing, diving with any Australian landmarks, animals or icons like the Opera House, Koalas, Kangaroos, Beaches, Sharks, Spiders, Great Barrier Reef, etc. Entries close on the 24th May, when we will pick the most unique and creative Australian photo. The winner will be announced on the 26th May 2016. Images submitted may be used for promotional purposes.